These films capture different elements of performance to camera from the direct to the subtle. They explore the dissipation of ephemeral materials and the dissolution of an 'event'. The medium of video and qualities of light give form to the results of each action. In 'blow 1& 2' the result of a small action is revealed close up. Particles of dust drift slowly in a beam of light until they are violently redistributed as I exhale. 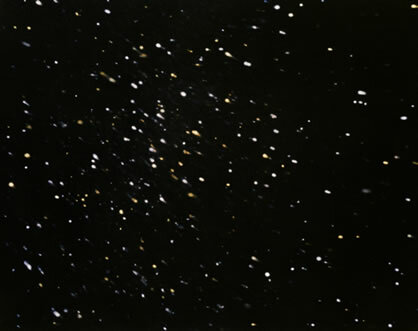 In 'Vacuum' particles of glitter on a dark backdrop are gradually extinguished by the action of hoovering.